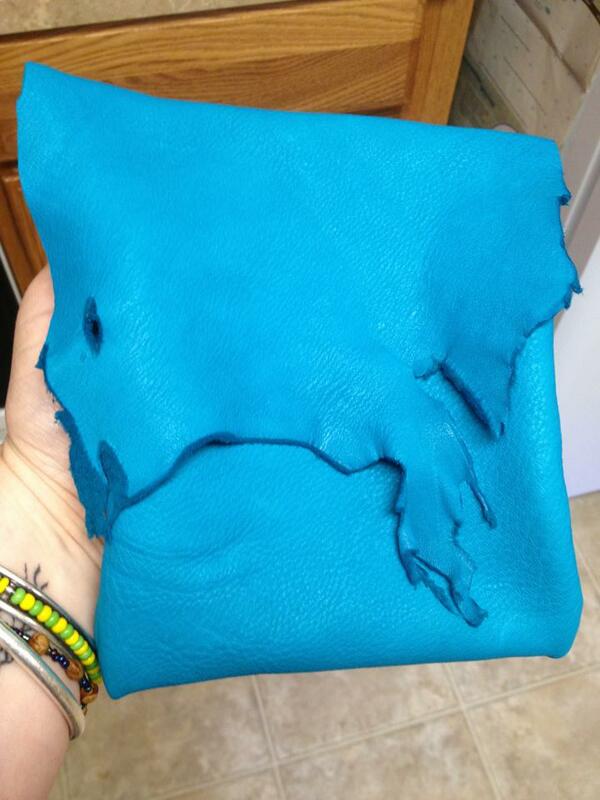 So – I’d picked up this gorgeous teal deer skin the last time I was in downtown Portland, OR. It’s large enough that I’ll be able to get multiple craft projects out of it, which I’m pretty excited about. The first one – a teal pouch that I’ve been wanting for some of my spiritual supplies, is all sewed – now I just need a deer antler bone button and I need to make a leather loop for a belt.